Anthropometry is the method of obtaining precise measurements of the human body. It gives the comparative study of the measurements and capabilities of the human body. It is derived from the Greek word ‘Anthropos’ (meaning human), and ‘matron’ (meaning measure). Anthropometry developed in the 19th century as a method implemented by physical anthropologists for the study of human variation and evolution in both living and extinct populations. Composition (e.g., the percentage of body fat, water content, and body mass) of humans. Alphonse Bertillon, son of the physician and founder of the Society of Anthropology of Paris, is credited as the father of anthropometrics based on his classification system known as the “anthropometric system” or “judicial anthropometry”. Alphonse Bertillon began his career working for the Paris police in the criminal records department. Here he recognized the repeating problem that it was becoming increasingly more challenging to identify repeat offenders, as the criminal records were stored alphabetically and many criminals were devising aliases to avoid severe sentences. To solve this issue, Bertillon devised a new classification system based on anthropomorphic measurements with the assumptions that bone density is fixed past the age of 20 years, and human dimensions are highly variable. Bertillon acquired measurements of height, breadth, foot size, length and width of the head, length of the middle finger, and the length of the left forearm, as well as other physiological and distinguishing characteristics of criminals in custody (as shown above). He then classified each according to size as small, medium, or large, and added frontal and profile photography to each file. Such photography technique is still currently used today in the form of a “mug shot”. 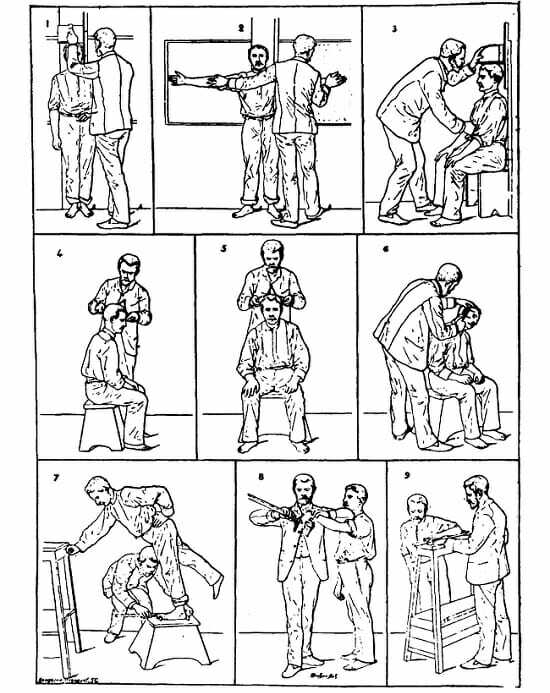 The use of this anthropometric system was termed “Bertillonage”, and it spread rapidly throughout the world during the late 1800s & early 1900s. Anthropometry influences a wide range of industries, processes, services, and products and has considerable importance in optimizing the design of buildings. Human dimensions and capabilities are the key factors in determining a building’s proportions and overall design. 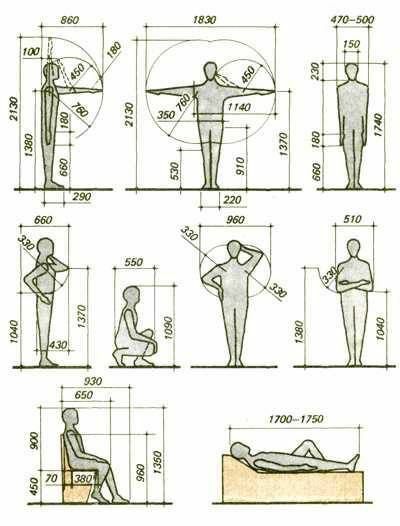 The underlying principle of anthropometrics is that building designs should be suitable to the human body, rather than people having to suit the buildings. Static anthropometry (Ergonomics) is the measurement of body sizes at rest and when using furniture & devices such as chairs, tables, beds, mobility devices, etc. Functional anthropometry is the measurement of abilities related to movement tasks, such as reaching, maneuvering and motion, and other aspects of space and equipment use. Anthropometrics in building design aims to ensure that every user is as comfortable as possible. In practical terms, this means that the dimensions must be appropriate, ceilings quite high enough, doorways and hallways quite wide enough, and so on. In recent times, it has particular significance for workplace design. Anthropometry provides a range of standard requirements and approved solutions for designers to help ensure suitable designs. However, it is essential to consider the specific purpose and needs of the user. Older people, children, people with mobility issues, wheelchair users and so on may have different & specific requirements. In particular, good accessibility and smooth movement around the building must be considered when designing buildings and its features. Anthropometry helps you to find out the minimum standard dimensions needed for a human being to meet in a specified work area and perform his regular activity efficiently. Also Read: Measure yourself for a Better Posture before buying Furniture!!! Designing Safety for Senior Citizen in Your House! Next PostNext Tips to Design Your Kitchen Work Surfaces or Centers!